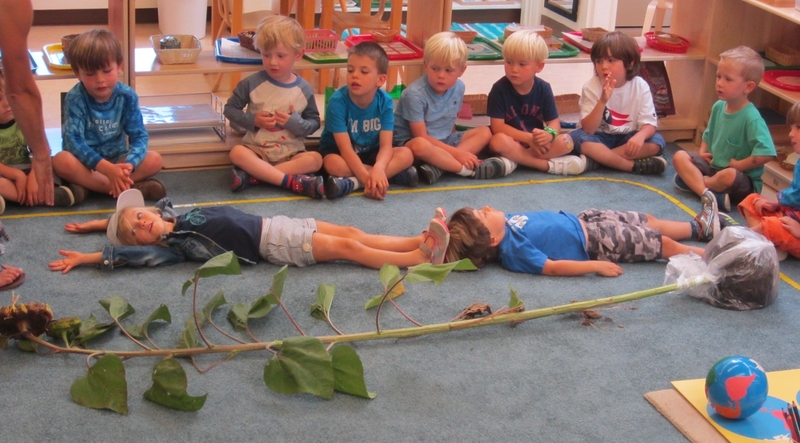 A typical day at San Anselmo Montessori Preschool begins with 30 minutes of outside play. During outside play, children develop and master gross and fine motor skills while exploring the play structure, swings, monkey bars and riding tricycles. 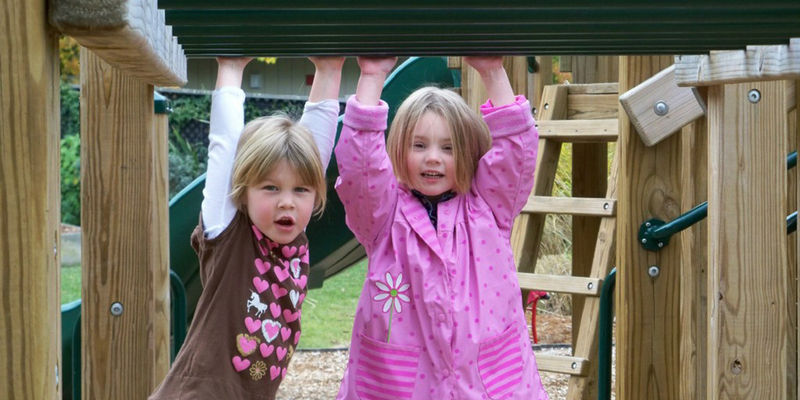 Socials skills are developed and refined in the sandbox and around the playground through peer interaction. Time on the swings and play structure also lets the children get out excess energy before entering the classroom. In addition to the main classroom, children can opt to go outside to the garden during the spring and fall or head over to the greenhouse during the winter. See Garden/Greenhouse tab for more information. The morning ends with a brief circle time during which the children sing, dance, perform mini-plays, or are introduced to a new activity (or work) as a group. At the end of the circle time, children can be picked up or they can stay for lunch and then the Afternoon Program.